The winner of the 2018/19 Best Rural Retail Business Award is Durham Hens. This retail business sells hens, eggs, and everything you need to keep poultry. The judges were immensely impressed that from such small beginnings the business has grown dramatically, yet sustainably, transforming its industry along the way. They commented that this was a unique business, fuelled by passion, which is rooted in a real rural need and ethos, and preserves a traditional rural pastime. Durham Hens began in 2007 as a hobby business, after it’s owner, Margaret Manchester, lost six hens to a fox. Her usual supplier had moved away from the area, so she ended up having to travel all the way to Scotland to buy day-old chicks. The challenge was that the minimum order number was 100 chicks! Margaret really enjoyed rearing the chicks, and after keeping a dozen she advertised the rest as for sale. She was astounded at the positive response, and saw that there was a real need for a hen retailer – the perfect business opportunity. The business has grown rapidly since then to meet the increasing demand, and is now one of the largest retailers of egg-laying hens to the general public in the UK, and possibly the largest producer of pure and rare breed hatching eggs in the country too. The business has worked hard to gain a reputation for selling quality stock and offering helpful advice, which has lead to customers travelling from far and wide to visit Durham Hens. Margaret is a strong believer in the calming and therapeutic effects hens can have on people. As a result, the business has advised and supplied prisons and care homes as well as working with the Equal Arts charity on their project HenPower. This project aims to bring hens into the lives of older people to combat loneliness and depression. Durham Hens has transformed the way hens are sold. They have stock available at all times and are open 6 days a week. This means that reservations and collection dates a thing of the past. Customers are also able to see how then hens are kept and can choose the exact hens they want to take home. 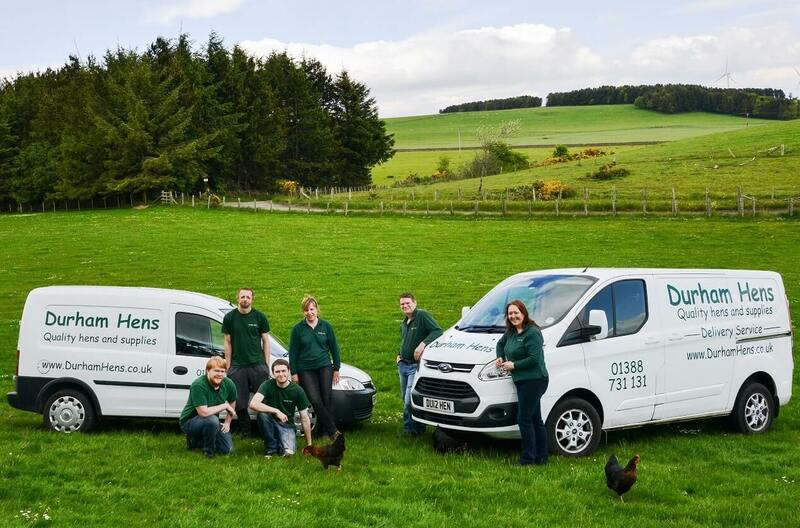 Durham Hens help customers to make informed decisions about which hens and products suit their requirements, as well as supplying everything needed to keep chickens, offering free advice, running courses for beginners and offering a boarding service for poultry! E-commerce is hugely important for the business, with many of their clients scattered across the country. 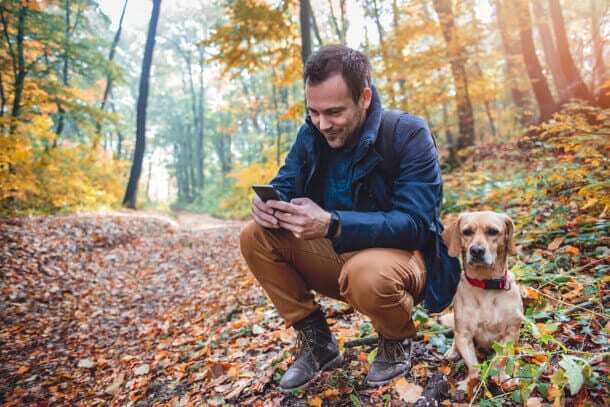 A high percentage of their hatching egg customers live in isolated rural areas, like the Highlands and Islands regions,. In these places it can be difficult to get new blood into flocks, so Durham Hens post their hatching eggs in purpose-made packaging – a much simpler solution than attempting to transport live chickens. They are constantly innovating and improving the way the business runs. Whether through designing a new egg packaging to reduce packing time, going above and beyond to help their customers, or manufacturing their own style of hen house, Durham Hens are committed to maintaining the highest standards. “I am honoured to win this prestigious award. 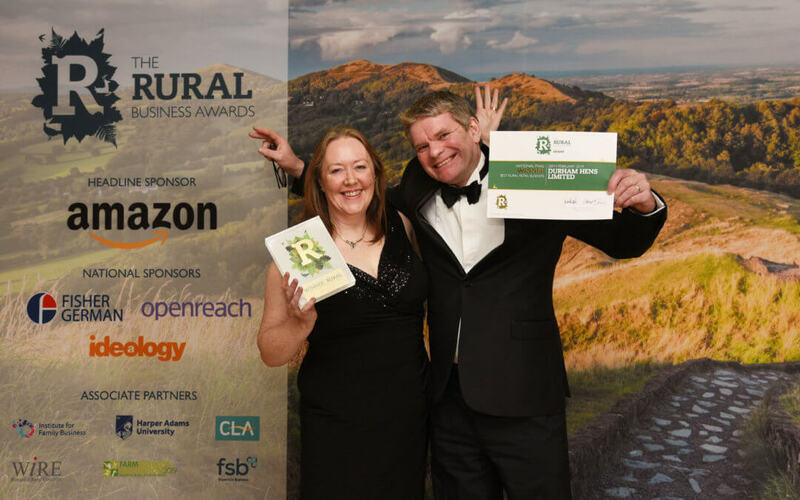 It was a lovely surprise to do so well in the North awards, so I can’t quite believe we’ve been recognised as one of the best rural businesses in the whole of the UK! Durham Hens has grown from small beginnings to be one of the largest suppliers of egg-laying hens in the country, and I am immensely proud of all we have achieved. I can’t wait to share this news with the team at home.” – Margaret Manchester, Managing Director of Durham Hens.